Hemendra is working as Venture Partner with Bharat Innovations Fund. Bharat Innovations Fund is a unique public-private-academia venture platform to catalyze transformational solutions through deep technologies for emerging sectors such as agriculture, cleantech and health care. Hemendra has over 20 years of experience in venture capital, private equity, management consulting and investment banking. Hemendra has investing experience across sectors in the agricultural supply chain such as farm mechanization, enterprise-tech for agriculture, food ingredients, animal feed, fertilisers, seeds, organic foods, spices, wheat milling, restaurants and catering. He also holds board / advisory board positions in many early-stage companies in the food and agri sector. He is also mentoring many start-ups in the agri domain in sectors such as big data, farm automation, aggregation. Hemendra has been championing the cause for adoption of innovations to bring in efficiency in the food supply chain. He is closely working with many entrepreneurs who are working on innovations for reducing food wastage, improving supply chain efficiency and increasing small famer holder incomes. He has authored many papers on the subject and speaks regularly at conferences pertaining to agricultural innovations. 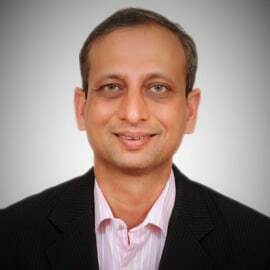 Prior to his PE/VC stint, he has worked as management consultant to many Indian and multinational companies, government and multilateral organizations in the sectors pertaining to food processing, agribusiness, consumer goods and retail. He has extensive experience of working in India, South Asia, Europe and USA. Hemendra in his career has worked with SEAF, Yes Bank, Rabobank, KSA Technopak, and ORG MARG (Nielsen). He is a management graduate from IIM (Ahmedabad) and Agricultural Engineer from Rajasthan Agricultural University.